Let’s take a closer look at the features Emby media center offers, and the reasons why it might be on its way to become a third major alternative to handle your media in your HTPC setup. 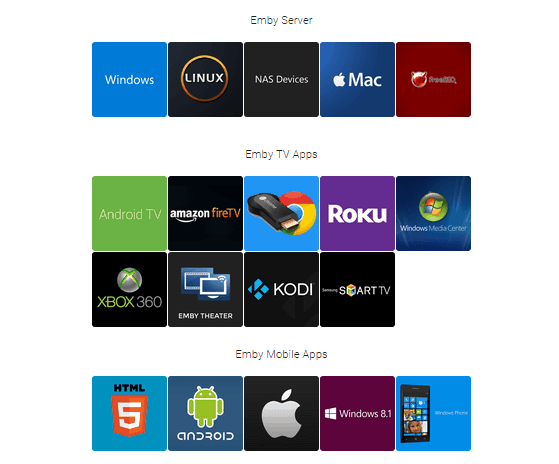 If your media server uses Windows, Mac, Linux or even NAS or FreeBSD, Emby can offer you all its features just by using their installer. There are also TV and mobile apps offered, and these can run virtually anywhere, from a web browser to Amazon Fire TV. 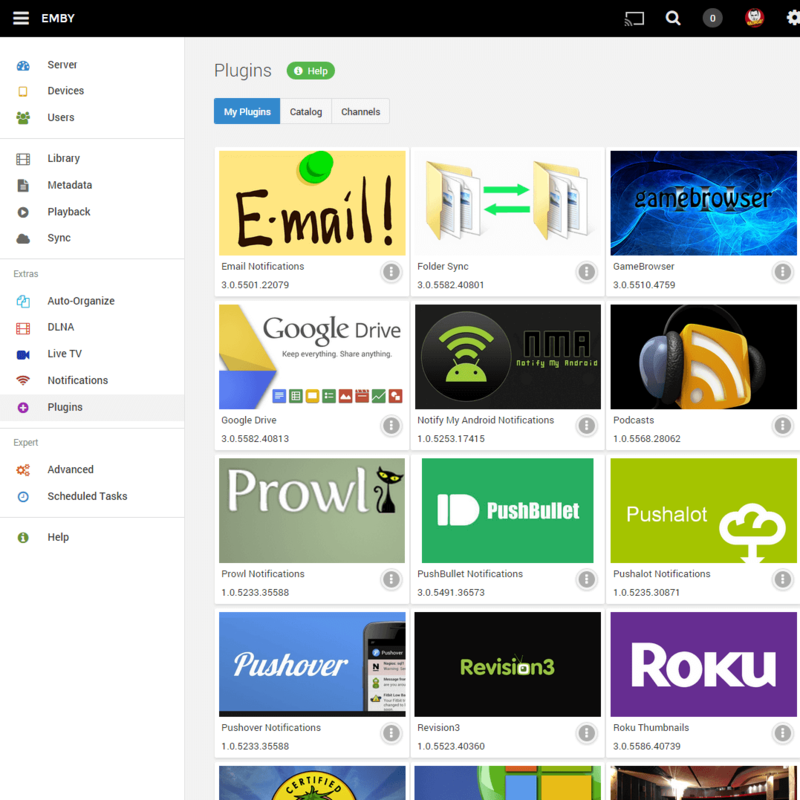 This great number of supported platforms make it easier to give a try to the features of this media server application, no matter what system you own or what setup you have. Emby media server has applications to suit almost every device. Let’s be clear from the start. The more options you have within an application to access the content you want, and manage that content, the better it turns out for you. In this regard, Emby offers quite a solid experience because it allows you to bring together your videos, music, photos and even live TV, and access your content from a variety of devices, enabling you to even watch movies or listen to music remotely if you are not home. Emby media server also allows to create independent profiles and parental controls, to ensure the content is only accessible by the people you intend to make it accessible to. Each user created actually can have their own library, which is a great convenience. If you, for any reason, don’t own yet a remote control or a wireless keyboard and mouse, you might find it a bit difficult to make use of the bunch of features Emby has to offer you. Luckily, this problem becomes void when you take into consideration that there’s an amazing web interface that you can use from any device and allows you to take control of your Emby powered HTPC. The Emby Server Dashboard, as it is known, is specifically designed for smartphones, and tablets, but it also does look good on the big screen. So you can actually use any option you like to interact with it. With active forums, in which knowledgeable users of Emby and its developers can offer help when you need it, and with new updates being developed in a regular basis, this application is only set to get even better, which might add even more features in the future and improve the existent ones. Bear in mind however, that there are still issues with it that, albeit minor, might make it worth for you to test this application before adopting it fully in your HTPC setup. Some of these issues include slow scanning of your media, and a perhaps more difficult way to set it up initially than that offered by its counterparts, like Plex. However, these issues might get resolved in the near future, making Emby media server an alternative to consider. If you like to keep your media library organized and at the same time you are an enthusiast of new applications that enable you to get more functionality out of your HTPC, perhaps Emby media server should be on your “next to try” software list. After all, it is free and you surely will be able to find a compatible device without much struggle.